You are cordially invited to check this out!!! Double-header, double issue FREE weekend at Scrapbook News and Review Magazine. 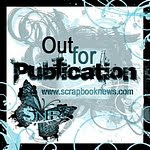 Come check out the fun and excitement at Scrapbook News & Review from Saturday, September 26, 2009 until Sunday, September 27, 2009! We're celebrating the Grand Opening of our brand new website!! Come to check out the site, chat on the forum, join in a challenge or two, play a game...and the best part of all, see the inside of the magazine for FREE. You can't beat that right!! Our Special Double Issue -- our largest issue of the year -- debuts on Saturday, September 26, 2009 at 8:00 p.m. EST and from the moment of debut until 8:00 p.m. EST on Sunday, you'll have complete access to the world's largest online scrapbooking magazine. With over 400 layouts (scrapbooking and digital), cards, stamping and altered art projects, product reviews, manufacture spotlights and more, you'll be amazed at the incredible inspiration, fabulous tips, tricks and techniques, amazing tutorials and exciting eye candy. Don't delay -- register on our site today. You must be a registered user to play!! For one day -- save BIG TIME! For one day only, get an annual subscription for $29.99! You'll save $20.00 from the normal $49.99 and even more should you choose to do the monthly subscription of $4.99 per month. Do not delay -- you have until Sunday, September 27, 2009 at 8 p.m. EST. And here are a couple of fall cards to share with you. Hope you like them! Hope to see you on the SNR Forum tomorrow! Make sure you register for all the fun!